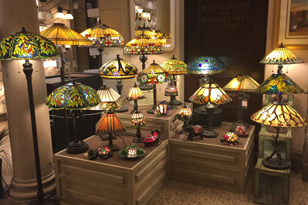 Lighting is often referred to as jewelry for the home. When working on your lighting plan, you need to consider its functional, and decorative aspects. Our professional designers will help you consider various types of lighting - ambient, task, accent and decorative. They can also show you how different lamps (incandescent, fluorescent, LED, etc.) can effect the perceived color of your room. Each consideration will have a profound effect on the result of your job. Lighting design specialists at SHOWCASE offer a "whole house" service that includes recessed lighting, switch options and location, outlet locations, outdoor lighting and special function lighting, like under cabinets or in showers. Our complete lighting plan can also include fans and air venting. Many of the products we offer are in stock or can be ordered from our large network of suppliers. © Showcase/Dutton-Lainson Company. All rights reserved. Developed by Idea Bank Marketing.